American Kidney Services is one of the best charities in Atlanta, GA because the money we raise becomes life-saving financial aid for people with kidney disease. We give all net proceeds to the American Kidney Fund, a charity whose programs provide direct financial assistance to people who are struggling to pay for kidney disease treatments in addition to their regular bills. When you donate used items to our charity, you help bring relief to families who are going through a stressful time. The support we provide kidney disease sufferers isn’t the only reason we’re one of the best charities in Atlanta, Georgia. Part of what makes American Kidney Services so successful is that average people can easily contribute to our cause. We pick donations up for free from our donors’ homes; simply call us or fill out the online form to join our rotational pick-up list. Or, if it’s more convenient, take your items to one of our nearby drop boxes or a local Value Village. 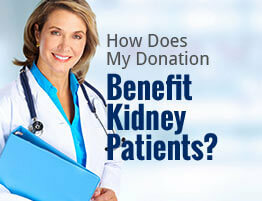 For more information on why American Kidney Services is one of Atlanta’s best charities, please contact us today.